My Review of Clickworkers, Is It Legit Or Scam? Clickworker is a company based out of germany that helps online marketers get mindless tasks done. They hire independent workers that have a computer and internet to do jobs that they don’t have time to do. They have been around since 2005, helping companies get these jobs done on a piece rate basis. I call the tasks they have you do mindless because it’s usually part of a bigger complex job, so it’s hard to see the bigger picture when you do such small tasks. It is said you can make $9/hr, but that’s based on the jobs you get and how much each job is worth. Like any independent contractor, your paid per job. You will usually get paid when your account hits the 10 dollar mark. The jobs that work well pay $0.01 to $0.04 per task. Reps cannot speak good English and it’s frustrating to try to get your point across with 10 day turn around times. It is for those looking for extra cash for mindless tasks. You will not make a whole lot of money with clickworkers, though it might be just enough to fund a more worthwhile opportunity. The tools and training are included with each tasks, some tasks may require test to be taking and passed to continue. It all depends on how much each task is offering. They have a FAQ(Frequently Asked Questions) that you can look up or if you still can’t find an answer to what you are looking for, you can fill out a question here to have it sent to them. It is free to sign up to be a clickerworker. Clickerworker seems to be merely a stepping stone to something else. It’s like one of those bad jobs you take just for extra cash. I don’t recommending investing a lot of effort into this, it’s not worth your personal investment of time. 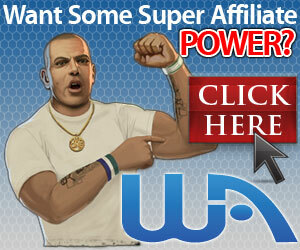 If you want something that would be worth your investment, check out my review on Wealthy Affiliates. Previous Previous post: My Toluna Surveys Review, Is It Legit Or Scam? Next Next post: My Quidco Review, Is It Legit Or Scam? I like your review on Clickworkers. So you get paid for doing simple things that the website creator doesn’t want to do? This sounds like a super boring way to make money online, there has to be a better way. Although it is free to sign up, that is kind of a bonus, some places require you to pay before you can make money. It’s legit, if how every boring to do.